One would be forgiven for thinking that corruption in sport is a recent phenomenon given the frequent news stories of corruption, bribery and doping offences. These have included performance-enhancing drug taking in cycling and baseball and match-fixing in football (soccer) and cricket. This is not the case however. Examples have been documented as far back as the Olympic Games of AD 388, where Eupolos of Thessalia bribed three of his competitors in the fist-fighting tournament. In 1889, American baseball pitcher Pud Galvin used a testosterone supplement derived from the testicles of live animals, including dogs and guinea pigs, in order to gain a competitive advantage. Why have cases of corruption intensified in recent times? It is the case that the frequency and magnitude of corruption in sport has intensified in recent times. Authorities have become better at uncovering unfair practice but are those involved in sport now more prone to undertake illegal behaviour? If authorities are indeed becoming better at uncovering unfair practice then we should, at least in the long-run, see fewer examples of corruption. On the other hand, given that the rewards for winning in sport are now at seemingly astronomical levels, the temptation to cheat continues to increase and is likely to become more widespread. Economics can help us explain what is going on. It seems that sport stars and officials undertake a form of cost-benefit analysis: weighing up the probability and subsequent cost associated with detection with the rewards associated with non-detection. Whilst it seems to be the case that the probability of detection has increased, so too have the rewards to cheating. Importantly, the sanctions often imposed on those that cheat rarely exceed the financial benefits of cheating and the imbalance appears to be widening. This does not bode well. Consider the American baseball star Alex Rodriguez, who together with 12 other players was suspended for a substantial part of the 2013 Major League Baseball season, for allegedly using performance-enhancing drugs. At the time of the suspension, Rodriguez was the highest paid player with an annual salary of $29 million. Following his return from suspension he still commanded a salary in excess of $21 million – not bad for a 40-year old sport star! Even the dramatic fall from grace of the seven times Tour De France winner Lance Armstrong who has been ordered by a Texas arbitration panel to pay back $10 million in prize money has reportedly a net worth of over $100 million. Interestingly many of Armstrong’s most ardent fans are very forgiving, they continue to support and admire him despite his numerous dishonest actions. The problem is intensified if those in a position of authority are also accused of corruption, to the extent that authorities are seen to turn a blind eye. Naturally this will only encourage illicit behaviour. This appears to be the case outlined in the report published today on doping violations in athletics, which has uncovered widespread instances of doping cover-ups, extortion and money-laundering. 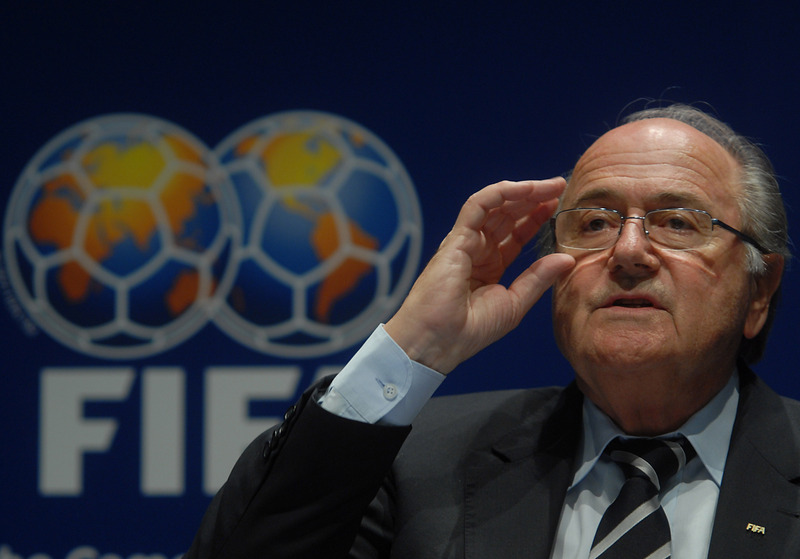 High profile scandals associated with decisions made by football’s world governing body, FIFA, in the awarding of the 2018 and 2022 World Cup finals to Russia and Qatar and the subsequent suspension of a number of current or former senior officials, including the president Sepp Blatter could cause further damage. If there is an absence of any true reform this is likely to undermine the stated commitment of governing bodies to tackle cheating. Instances of corruption are likely to have implications for demand, at least in the short-run. Some interesting work has been done on the Calciopoli scandal, which uncovered widespread match-fixing in Italian football during the 2005/06 season (1). The authors found that there were significant falls in attendance for those teams directly implicated. For example Juventus, one of the teams implicated in the scandal, initially saw attendances fall from an average of 30,600 in 2005/06 to just over 18,000. In part this was because they were relegated from the top division (Serie A) to the lower division (Serie B). However, since then the club has moved to a new stadium and attendances have recovered. It seems the supporters were, in the long-run, willing to forgive. A more persuasive reason for change might be provided by sponsors and commercial partners who are putting increasing pressure on sporting organisations to bring about change, particularly where authorities appear to be making little progress in reforming. There have been a number of instances of companies disassociating themselves from sporting events following instances of corruption. ING, a Dutch bank, terminated its deal with the Formula 1 team Renault after they were found guilty of fixing the 2008 Singapore Grand Prix. Sponsors do not want their brands to be tainted by any association with criminal and immoral behaviour by the individuals and organisations they are involved with. The loss of lucrative sponsorship deals will in turn lead to a loss in future earnings of the cheats. Such cases however remain rare. In the case of the FIFA scandal, official sponsors, such as Visa, have called on FIFA to “make swift and immediate steps to address these issues within its organization”. Should FIFA fail to act they have said they will “…re-assess our sponsorship”. Whether they and other major sponsors will actually follow through with such threats remains to be seen. (1) Buraimo, B., Migali, G. and Simmons, R. “An analysis of consumer response to corruption: Italy’s Calciopoli scandal”, forthcoming in Oxford Bulletin of Economics and Statistics.